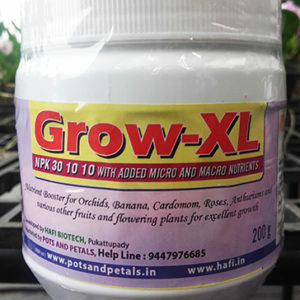 Best blooming manure for all types of flowering plants, specially for orchids. Formulated with imported Micro and Macro nutrients. 1gm/lit once in a week is the recommended dosage. 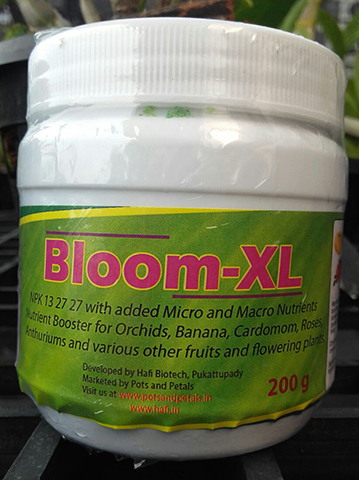 By using Bloom-XL plants will be healthy and produce vigorous growth with a bun-dent flowers. Please make sure to keep the lid closed after the use to prevent the escape of nitrogen into the atmosphere. One bottle can last for more than 2 years.